Each year, 3,000 to 4,000 bear cubs are left to die after their mothers are killed during the bear hunting season in Russia. 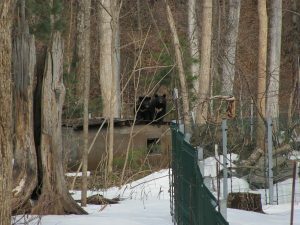 A mother bear is violently shaken from her winter hibernation, forced out of her den, and shot by a trophy hunter, just for the thrill of it. Tiny cubs left without their mothers to nurture, protect and teach them how to be a bear cannot survive in the wild. They either die of hunger or killed by predators or end up as pets in local villages, being used as live bite to train hunting dogs or kept in filthy cages near roadside restaurants to entertain tourists. 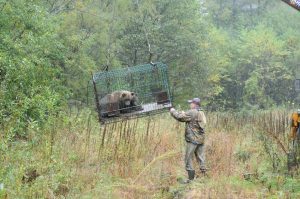 In the Russian Far East alone the hunting quota for bears during 4 or 6 months of hunting season is over 2200 for 2018-2018 and growing every year. 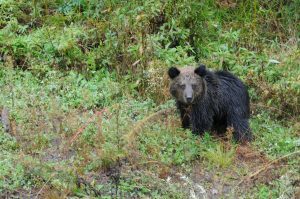 Brown bears and Asiatic Black bears are both legal to hunt in the region. 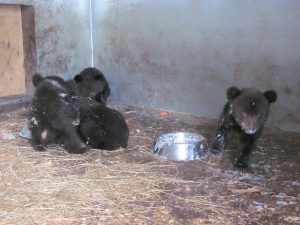 This means hundreds of little cubs get orphaned in the region every hunting season. How many of them can survive on their own? In partnership with UTYOS we are building a Bear Cub Rehabilitation and Reintroduction Programme to rescue, rehabilitate and release orphaned bear cubs back where they belong. 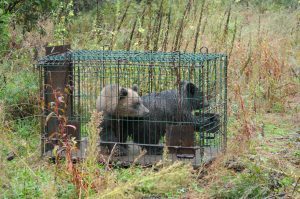 After 15-18 months these bears are strong enough to be released back into the wild. We helped build a new natural enclosure and other facilities equipped with everything needed to monitor the well-being of cubs during their rehabilitation period. Witness the beautiful moment of release of our lastest Fantastic Four. 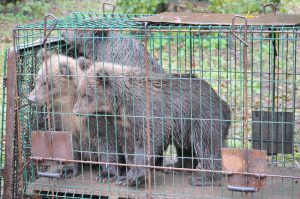 But UTYOS needs Your help to be able to take in and support the bears during their rehabilitation process. It costs about 300£ a month to rehabilitate 1 orphaned bear cub and the process takes about 15 months. This amount includes nutritious food, veterinary care/vaccines, cost of staff who takes care of them and transportation to the remote release areas. Every year the team of UTYOS, with a heavy heart, is forced to reject approximately 30 tiny orphans due to lack of funds. This means denying them the only chance to have a “normal” wild life. Despite being such a unique centre, located in the best possible area for the crucial conservation work they do, UTYOS doesn’t receive ANY funding from the Government. This means that the number of lucky little orphans they will be able to save directly depends on the support of caring and compassionate individuals. DONATE TODAY to give these babies a chance!